According to the UNC Study Abroad Office, the department of History ranks among the top departments on campus in terms of the number of its majors that study abroad. Through the competitive Boyatt awards, the department helps to defray the costs of studying abroad for some of its majors. History faculty commonly participate popular in study abroad programs, such as Honors London, and act as advisors for students with funding that allows them to do research abroad, such as the Robinson Honors Fellowships. If you need academic advising related to studying abroad, contact our departmental adviser, Matt Andrews (andrewsm@email.unc.edu). 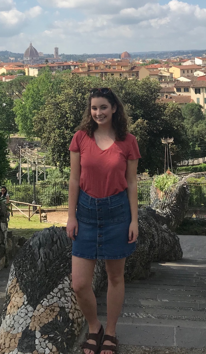 To learn more about studying abroad in general, visit the pages for UNC Study Abroad (https://studyabroad.unc.edu) and Honors Carolina Study Abroad(http://honorscarolina.unc.edu/global-honors/). The Department is proud of its majors who venture out into the wider world. 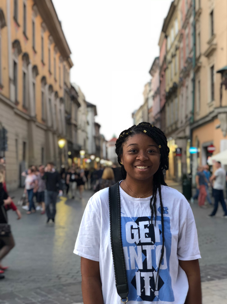 Here are a few examples of such students, whose study of the past and travels in the present have impacted their educational lives and futures.